So, the name of this blog is Becks Everyday Ghost Hunters so I like to suggest tools that don't "break the bank" per say...... 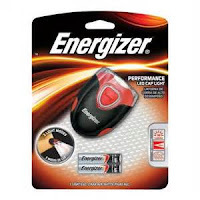 These are items that anyone should be able to obtain fairly easily and inexpensively. Listen, you don't have to have big, fancy equipment to do some exploring and get results. Just go in with an open mind that what you are here for.... is the TRUTH!!! So I caution you NOT to automatically assume that everything that moves, makes sounds or seem a little unusual is paranormal. IT'S NOT!!! We want to find out what is causing things to move....such as a door opening by itself......don't assume it MUST be a ghost opening it....where in reality it's just an uneven door that never stays shut. Disappointing.....I know... not nearly as exciting as finding a ghost but wouldn't you rather know the TRUTH??? One of the BIGGEST MISTAKES people make in Ghost Hunting is NOT letting others know where you are going and about how long you expect to be gone. PLEASE PLEASE do this!!!!! Make sure it is someone NOT going on the hunt. Let someone know where you are going to be in case of an emergency. -Camera( more than one preferably) Make sure that it is at lease a 7meg or higher for best results. -Digital Recorder-Only suggestion here, is make sure your recordings can be downloaded to a computer. Ok. Here are some basic Ghost Hunters Must haves! 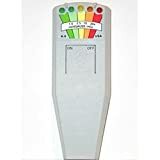 ELF ZONE-EMF METER-Learn how to explorer and investigate the invisible electromagnetic waves that surround you with the exciting E.L.F.meter. What this meter lacks in resolution it makes up with ease of use and very low costs. A favorite among beginner ghost hunters. Three LED lights which are easy to see in the dark indicate field strength. Green light - 0-2.5 mG (safe). Yellow light - 2.5 - 7 mG (caution). Red light - 8 or more mG (danger). 9-volt battery not included. This is a very low cost way to begin your ghost hunting adventures. The cost should be somewhere between $15-$20. This was the very first piece of "equipment" I bought when I started out going to graveyards and wondering the halls of haunted buildings. It is a fun little meter. Very, very, easy to read. Great for beginners..... You should get you one. a soft padded case for protection. 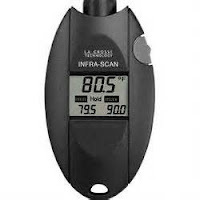 The neckband makes it convenient for ghost hunters to wear while their hands are free, but as soon as a cold spot is detected the small infrared thermometer is available to shot in the direction of the temperature disturbance. A great affordable device to use for finding cold spots during ghost investigations. by watching the lights moving across and lighting up. is no needle to watch like with the Ghost Meter. This is a great little green light to use for night investigations. It comes in a variety of colors, but I like the green one. I don't use it clipped to a cap(like it is made for) I just carry it around and shine it wherever I want. Very bright and you can find them at Wal-Mart for around $6 or $7.